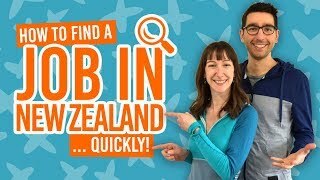 Practical Things to do before leaving New Zealand. This is a sad one. When it comes to the end of any great travel experience it can be hard to say goodby to that part of your life. Nevertheless, there’s always things to look forward to! So it’s time to tie up your loose ends and prepare to leave New Zealand. If you have been in New Zealand on a working holiday, it’s likely that you will want to close your bank account, get your tax refund, and quit your job in a respectful manner. We’ll show you have to do it all in this article. 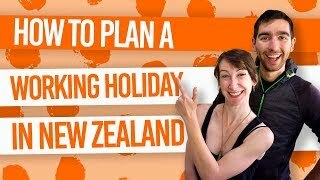 Other things you’ll want to consider sorting out before you leave New Zealand is cancel your phone plan, arrange your airport transfer, and sell your car (if applicable). 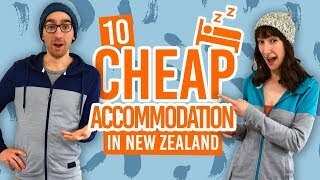 On a more exciting note, you may even want to consider your next travel plans when leaving New Zealand by visiting a nearby country. After all, it’s not often that you are this far down south in the Pacific. Without further ado, here’s all the stuff to do before leaving New Zealand. If you are working up until the point you decide to leave New Zealand, you need to quit your job. To avoid being a d*ck, quit your job respectfully by giving the agreed notice period that you and your employer decided on when you were hired. By leaving on good terms, you will likely have a good reference for future job applications. So when quitting your job in New Zealand, make sure you hand in your notice in writing. Then your employer will handle ending your employment from there. To find out more about how to quit your job respectfully in New Zealand, check out Job Quitting Etiquette: How to Quit Your Job in New Zealand. We can’t stress how much more easier it is to close your bank account in New Zealand than it is from overseas. That’s why suggest you close your bank account before you leave New Zealand. Bank fees may still be charged to your bank account if you just leave your bank account open and empty. (And overseas’ debt never looks good). Book an appointment at the bank to close your account. Attend your bank appointment taking your passport and bank cards with you. The closing process should only take 20 minutes at the most. For more information, check out How to Close a Bank Account in New Zealand. For those who have been travelling New Zealand by car, it’s time to sell! Make sure you give yourself plenty of time to do this, especially if you are leaving New Zealand in the autumn and winter months. To vastly increase your chances of selling your vehicle quickly, make sure your WOF is less than one month old in the time of selling. You can read up on the different methods of selling your car in New Zealand, as well as all the paperwork you must remember to do once the car has been sold in How to Sell Your Car in New Zealand. If you have been working in New Zealand, then you can get a tax refund! Apply for the tax return with plenty of time for the return to be refunded into your New Zealand bank account. Find out how and when you can apply for your tax refund in How to Get Your Tax Refund in New Zealand. Luckily, there are some tax companies, like taxback.com, who can arrange for your tax return to be refunded into your overseas bank account. So if you leave New Zealand before the tax year has ended, for example, you do have these tax company alternatives. If you have, for instance, a monthly or weekly phone plan on a New Zealand sim card, make sure you cancel it before you leave New Zealand. For prepaid sim cards, keep in mind to not top up your phone too much and leave New Zealand with wasted credit! Once you have made that last call, text or data on your phone, cut up your sim card and throw it away. It’s over. When travelling for any significant amount of time, it’s likely that you have collected quite a few things along the way. To avoid getting charged at the airport for your luggage being over the weight limit, get rid of all the things you don’t need or want before you leave New Zealand. There’s a few easy ways to get rid of clothes, like giving them to other backpackers who are always happy to get something for free! You can find more ways of clearing out your unwanted stuff (without throwing them in the trash) by checking out 7 Ways to Get Rid of Your Excess Luggage Before You Leave New Zealand. A flight from New Zealand to just about anywhere is pretty lengthy! Why not break up your trip home by doing some of the amazing stopovers in the South Pacific? Check out these 6 tropical paradises to visit when you are in New Zealand or 5 countries easy to visit when you are in New Zealand. It would be a great way to end your travel experience with a bang! Like New Zealand, there are a lot more countries where you can experience a working holiday. We get it, once the travel bug bites… We list them all in Other countries with a working holiday scheme. Your final travel on New Zealand soil is the airport transfer. You can fly out of New Zealand from Auckland, Wellington, Christchurch and Queenstown. Auckland is the most common departing airport for backpackers. For the Auckland Airport, your cheapest and most direct airport transfers is the SkyBus, if travelling by yourself, or by taking a taxi or shuttle if travelling in pairs or more. Find out more about your best options to get to the airports in New Zealand in The Cheapest Airport Transfers to Auckland Airport. Here’s a few useful (and silly) articles to help you on your merry way out of the country.